The Hillsborough Chamber of Commerce is located at 121 N. Churton Street Suite 1C in Downtown. The entrance door is on the back of The Mercantile Center building, facing the public parking lot. 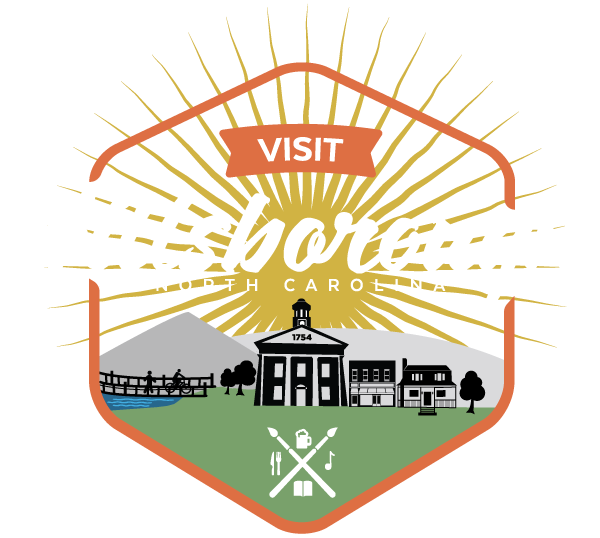 The Chamber of Commerce can help with business resources and information for the town of HIllsborough’s business community. The closest Airport is Raleigh-Durham International (code:RDU) which is located at 2400 John Brantley Blvd, Morrisville, NC 27560 and is approximately 27 miles/30 minutes away by car. RDU Airport flies non-stop to over 40 destinations on approximately 400 flights daily. Rental Cars are available at the airport through the following companies: Advantage, Avis, Alamo, Budget, Dollar, Enterprise, E-Z, Hertz, National, Payless, and Thrifty. Hospital and ER Care is available through UNC Healthcare- Hillsborough Campus located at 430 Waterstone Dr, Hillsborough, NC 27278. Urgent Care is available through Orange Family Medical Center located at 210 S. Cameron St. Hillsborough, NC 27278. Sales and use Taxes on purchases including food, clothing, and retail at a rate of 7.5% (Combined State and Local). In additional to Sales Taxes, there is a local Occupancy Tax charged at 3% and a Food and Beverage Tax at 1%, the proceeds of which are re-invested into tourism services and projects. Hillsborough has several historic Town cemeteries, including the Lockhard-Phillips Family Cemetery, the Margaret Lane Cemetery, the Old Town Cemetery, and St. Matthew’s Churchyard. Pets are welcome here in Hillsborough! All dogs must be on a leash at all times including in public parks and on the Riverwalk. Dog owners must always remove their dog waste from public and private property. Dog owners are discouraged from tethering pets to street trees. There is an off-leash, two section dog park that is open to the public at Gold Park located at 415 Dimmocks Mill Road for the enjoyment of both dogs and pet owners. No special tags, fees, or permits are required. Park hours are 8am to sunset. Hillsborough is a community that recycles. If you need to figure out what to do with your recycling while visiting please call 919-968-2788 or email recycling@orangecountync.gov.